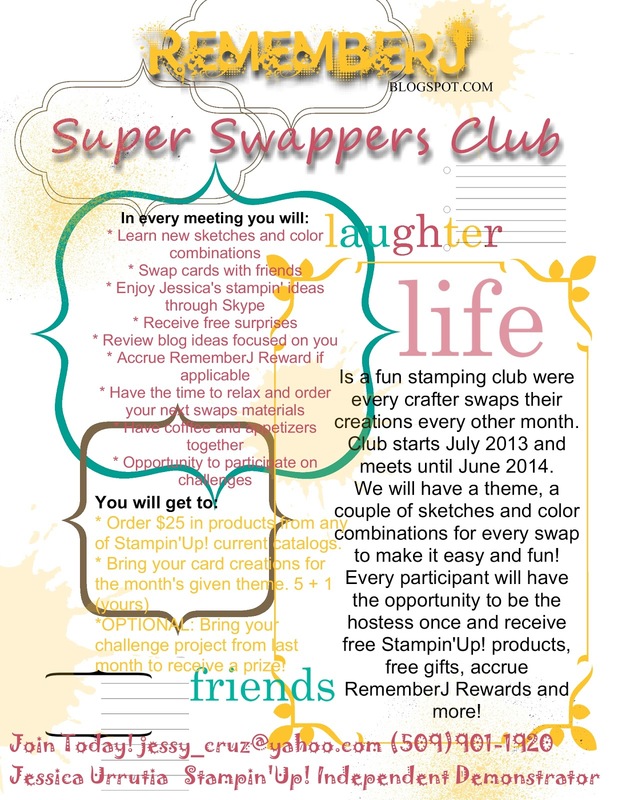 Stamp a Blessing: RememberJ Rewards and Super Swappers Club starting! RememberJ Rewards and Super Swappers Club starting! Hello my dear ones! This is a good day to be YOU! A day to discover and embrace who you are and what you love to do. I am on a journey to accept myself the way I was made...wonderful, courageous, competent, adequate, creative... enjoy this day! Hola mis amigas! Este es un buen dia para ser TU misma! Un dia para descubrir y abrazar quien eres y lo que amas. Estoy en un caminar donde quiero aceptarme a mi misma y la manera en la que fui creada...maravillosa, valiente, competetnte, creativa, ...disfruta el dia de hoy! Click to see bigger/Oprima la foto para ver mas grande. 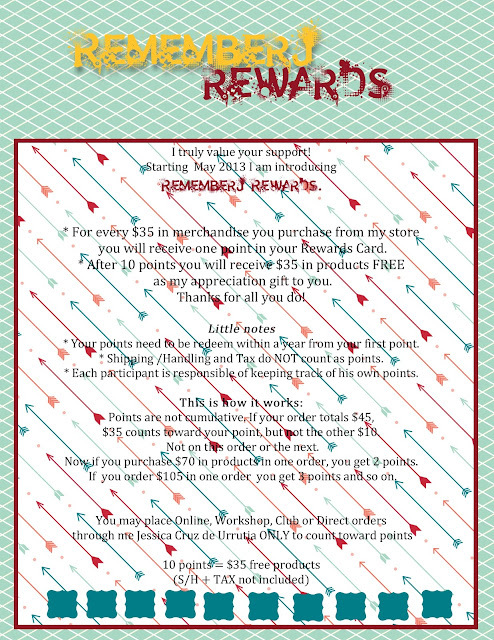 To print the pdf click HERE! Para imprimir pdf oprima AQUI! I would like to know if you would like to join me on this new journey. see you and share inspiration and motivation every other month (at least). Keeping our love for crafting growing as we engage in swapping cards, encouraging each other and learning new things will for sure be exciting. I plan to start this with my current club here in Lubbock Texas, but if you wish to be part of the All-State One...please send me an email or leave me a message on my facebook page! Me gustaria saber si me vas a acompanar en este nuevo club. 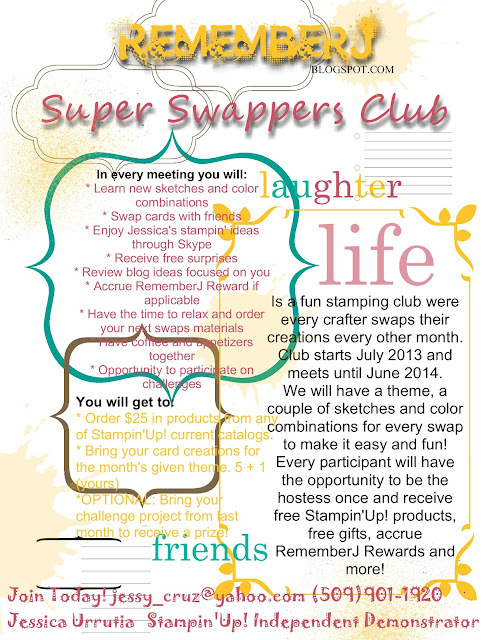 El club de los Super Swappers sera bien bonito y dirigido a mantenerme en comunicacion contigo, verte y compartir inspiracion y motivacion cada otro mes (al menos). Mantener nuestro amor por este arte creciendo a medida que compartimos tarjetas, nos animamos unas a otras y aprendemos nuevas cositas va a ser super. Mi plan es comenzar este club con mi club corriente en Lubbock, TX al momento, mas si te interesa unirte a un grupo de Todos los Estados...porfavorcito dejame un mensajito en mi email or facebook page! this is so well thought out, I'm excited about the opportunities! Count me in- can't wait to earn my rewards!